While the title might denote otherwise, this really is a (brotherly) love letter to Senator Barack Obama. It’s written in love. It’s intended with love; my love for the world, for the people in it and my love for change, which brings growth and fosters understanding. It’s a love letter for change. I am an openly Christian, openly gay, black man who has been praying to God my entire life for a love that would be beyond relationship and the regular. When I was 13 years old, my mother asked me if I would ever get married and I told my mother that I would “as soon as they make it legal.” When the “civil unions” statute was recently passed in the state of New Jersey, my now 80 year old mother called me and said powerfully, “Baby, I think your husband is on the way. God answers prayers!” I got so happy to realize that my mother, with her Christian love and maternal adoration, only wants me to be happy. Civil unions don’t make me happy. Domestic partnerships don’t make me happy. They also don’t make me safe. They don’t make me feel secure. They don’t give me access to the hospital in the midnight air if the nurse says no. They don’t give me the hope that I will be able to get my favorite singer Natalie Cole to sing Inseparable at a wedding ceremony one day soon. They surely don’t make me married. They don’t give me all of the rights and privileges and protections of any other American. 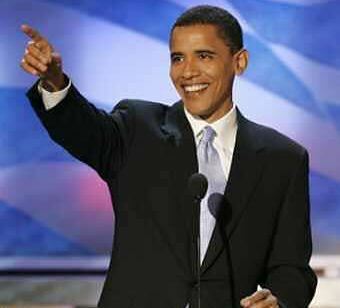 I really do like you Senator Obama, and I think you could be a glorious, viable, vicious vessel for change. I have been struggling between my radical need for change that you speak and the “we-can-do-better”ness of Senator Hillary Clinton. Somehow, maybe because of gender, maybe race, maybe your words of encouragement and embodiment, I am drawn to you and your audacious hope. That is why, from the depths of my soul, your stance on marriage equality breaks my natural and spiritual heart. Senator, you said some powerful, masterful, soul-shifting things when you spoke at the 2004 Democratic Convention. In doing so, you squarely and quickly placed yourself in the position to be able to make changes and take chances. You passionately said to everyone from the world stage that “WE CAN DO BETTER.” So imagine my disappointment and chagrin when you kowtowed and walked right into the ookie-doke and said…“but.” But we can’t make change. But people will never go for it. But it’s not going to happen anytime soon. Even if America isn’t ready, I want to believe that you are ready and willing to stand for change. I want to believe that you would be willing to fight, even if the end result isn’t to my liking. At least I could say “Well, you tried and for that you have my thanks.” But I cannot. At the end of the day, you had just come out and said that you had already made up your mind. You had done research and analysis and all of those trivial things that people say when they hunch their shoulders to say that I don’t know what else to do. For me, there is a very real reason that this stance is so morally unacceptable. As the child of a biracial union, you know better of the many pains, pangs, and perils of being made to feel less than. You know what it feels like to have words hurled at you. You know what it feels like to have people say that you are not good enough and that your very existence is against good. In many states in the union, in many households in America, still people turn their noses up and their heads down to the joining of black and white, black and Hispanic or Asian or anything that blends or bleeds the races. People still say that it’s not about not liking certain people, but rather just about their beliefs. White people. Black people. Many people just say that it’s what they believe and that’s that. But the truth is that laws and leery lawmakers had it on the books in this country for decades, nay centuries, that it was unacceptable. Until as recent as the early 1970s, there was a state in this country that made the love between an African-American (or other colored person) and a white person against the law. But that love is real and it has real hopes and real dreams and real passion that gives birth to real people. One of those people are you, Mr. Senator. According to many laws in the land, especially when you were born, you should not have ever been allowed to live, seek liberty or pursue happiness. But your parents fell in love and that love gave birth to a man who have given birth to an uprising in this country, an uprising that has people believing again, an uprising that has Oprah standing up and saying “He Is The One!” when she is normally reserved and removed from political conversations. I really do believe in the possibility of President Obama. I do. I really do. But you don’t believe in me. What do you do when you love someone and believe in someone and hope for someone and that someone says I don’t stand with you? That someone says I can’t fight for you? If you want to, post this on a website where people banter and debate. If you want to, call me crazy and a race-trader because I am a black man who is questioning a black man and that the airing of laundry—dirty or otherwise—isn’t something that we should do. But I have got to because you are poised to change minds and you can start here, given your singular and unique relationship to the issue of marriage equality in America. No one else, but a child born of a mixed marriage, could understand how the strain and stigma placed on people through laws and lack of understanding can shape or shift or shame the life you live. I am tired of people trying to tell us that waiting is the only way. I don’t get a gay discount on my taxes. I don’t get a gay discount on my utilities or any other obligation that I have as a human being in America. I don’t expect any such discounts. I also don’t expect to be discounted. Senator Barack Hussein Obama, I urge you today to pour yourself a cup of coffee or tea, whichever is your preference, and search your heart after you read this letter. Imagine what it would have been like if your mother and your father had been terrorized and stigmatized and damned and discouraged and belittled in a country by laws and people and hatred that said that their love was invalid and that they didn’t have a right to be together. Oh, wait. This is America and that is how it was in the 1960s and yet they came together, in love and in commitment, if only for a while and it was that union and the power of that love that gave birth to you. Here you stand, on the cusp of a new day and a season of change, with the potential and the power to say that no one—not man or woman, African-American or Caucasian or Asian or Latino or biracial, Christian or Jew or Muslim or non-believer—deserves to be treated or protected with anything less than the fullness of the law. Your parents stood in adversary. You say that you stand in audacity. I dare you to do better and stand firmer. I hope you understand and I hope that you are listening. You can reach Kevin at www.KevinETaylor.com and at the website of Unity Fellowship Church New Brunswick www.ufcnb.org. In the beginning stages of a new society, advanced programs such as social welfare were often neglected. New England was no different. They focused on the growth of the economy by stabling themselves as a legitimate nation—separate and a part of England. Consequently, social policies and social welfare reforms were neglected. As the time progressed, African Americans suffered the most due to lack of social policies, specifically those of equality. The United States is portrayed as a nation valuing democracy, freedom, and justice for all. Often, equality and justice were limited to the Anglo-Saxons. Although African Americans were free, racial oppression had manifested and caused them a variety of mental strife. They were burdened, mentally distressed, and struggled with self-identification. Throughout time, leaders emerged in the African American community who addressed their issues with the social policies or lack thereof. Two prominent figures were W.E.B. Du Bois and Booker T. Washington. Although their platforms were very different, they focused on the same struggle. An exploration of both men and their position on certain social policies and welfare reform will reveal the development of a conscious Black America. The social environments where Du Bois and Washington were raised impacted their ideologies. Du Bois was raised in a peaceful, reserved town in Great Barrington, Massachusetts with few blacks and minimum acts of racism (Stafford, 2005). On the other hand, Washington was raised in Virginia during the time when southern blacks suffered at the mercy of all white men (Stafford, 2005). Their contrasting social environments influenced their individual stages of growth and development from infants to adults. It influenced the way they identified problems, as well as how they determined intervention strategies. Du Bois emphasized the collaboration of economic growth and education. During the process of advancing in society, he wanted advancement without subordination. Washington also emphasized economic growth but without the cost of assimilation. He advocated accepting racial segregation in exchange of land from white southerners to build an educational institution. The two leaders often had opposing views on how to successfully emerge from the inequality, oppression, and abuse they were experiencing. Du Bois believed in order to triumph from these battles, education needed to be the primary weapon for people. On the other hand, Washington believed in a more submissive approach. As people of color continued to experience inequality, Du Bois became proactive, using his knowledge as a resource. His goal was to establish mutual respect amongst all ethnic groups. Du Bois displayed grave concerns, as some black people experienced horrendous treatment such as lynchings and beatings in their quest for fulfillment or self-actualization. Du Bois, a scholar and an activist, believed in reading, attending and giving lectures, studying and practicing certain discipline methods, and also devoted his energy to the attainment of liberation which seemed to be unattainable by many (Stafford, 2005). Nevertheless, he was steadfast with his philosophies and true to himself to fight for a better America, not just a white America. As a result, Du Bois attempted several intervention plans to overcome the effects of oppression, racism, and discrimination. These included movements, lectures, and writings. He often faced discouragement from whites as well as blacks. He became frustrated and weary. He could not understand the methodology of black people’s platform on taking a stand for what was “right,” more specially, the lack thereof. Although he received criticism from other leaders such as Booker T. Washington and Marcus Garvey, Du Bois was persistent. He continued to observe the oppression that blacks were experiencing and knew what kept his internal flame burning. Regardless of what may have come his way, he was persistent in what he felt destined to accomplish. Through Du Bois’s exposure to different countries, he was able to analyze the scandalous and inhumane behaviors demonstrated by Americans. Despite confusion and opposition, he remained vocal and became an advocate for people of color.